Do you wonder whether you really should pick up your newborn every time he cries? Do you want to continue to let your toddler sleep in your bed, even though your parents are convinced she will never willingly sleep by herself? Attachment parenting is an approach that assumes that a healthy attachment is necessary during infancy and toddlerhood, and advocates believe that a strong parent-child attachment during infancy lays down the foundations for healthy, trusting relationships later in life. This parenting philosophy is the foundation for the advice given in The Baby Book [Little, Brown and Company, 1992] by Dr William Sears and his wife Martha Sears, R.N., along with their sons Robert Sears, M.D. and James Sears, M.D. In The Baby Book, Dr Sears covers a wide range of important information that new parents will want to know when they bring their baby home for the first time. The Baby Book describes how to care for your newborn, but there is also information not usually included in baby books, such as ways the new father can help out, common medical concerns in the first few weeks, and lots of detailed information on breastfeeding and babywearing. Babywearing is an attachment parenting term for the traditional practice of carrying babies in slings or wraps so that they are soothed by their closeness to the parent and the continual movement. Dr Sears doesn’t limit himself to the first year of infancy in The Baby Book. Common concerns in toddlerhood are also covered, such as picky eating, transitioning into a toddler bed, developmental milestones, toilet training and babyproofing. One of Dr Sears’ big strengths is his many years of experience as a pediatrician, which comes through the whole book in his friendly voice. The sections on common health concerns are detailed and reassuring, clearly listing the main symptoms to check before making a call to the doctor’s office, making it a perfect first reference during illness or injury. Another strength, depending on your own parenting outlook, is his focus on attachment parenting. If you want to continue breastfeeding past your child’s first birthday, Dr Sears’ book will make you feel right at home. On the other hand, if you want to stop breastfeeding at eight months, you may find that the “breastfeed for the first two years” message does not offer you much support. In this case, another parenting book, such as What to Expect The First Year [Workman, 2003] might be a better fit for you. 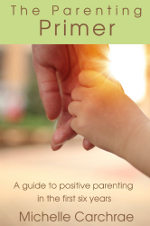 The advice given in The Baby Book makes it a comprehensive and handy reference to have around during the first two years of your child’s life, especially if you are committed to an attachment parenting approach that works for your family. Originally published on Suite101.com on February 7, 2008.